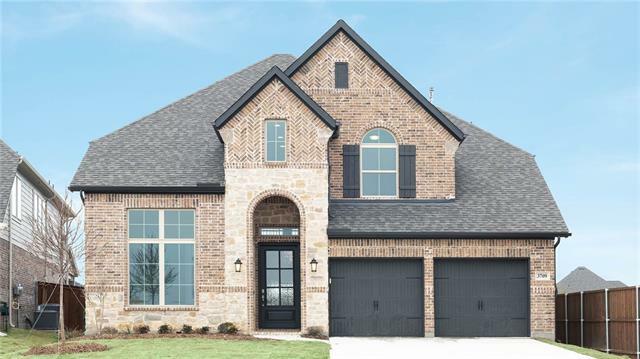 All Northlake homes currently listed for sale in Northlake as of 04/24/2019 are shown below. You can change the search criteria at any time by pressing the 'Change Search' button below. 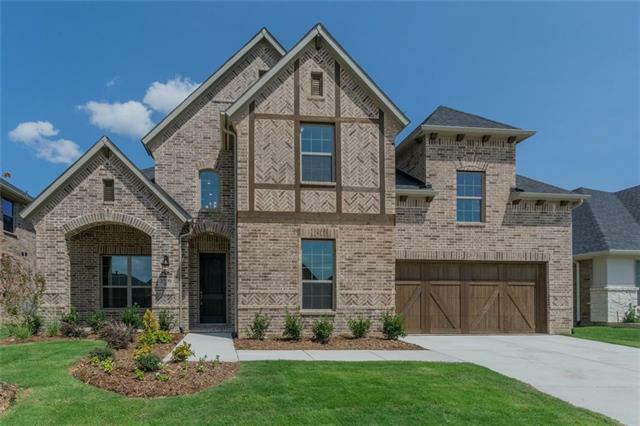 If you have any questions or you would like more information about any Northlake homes for sale or other Northlake real estate, please contact us and one of our knowledgeable Northlake REALTORS® would be pleased to assist you. "MODEL OPEN Saturday 11-5 & Sunday 12-5. 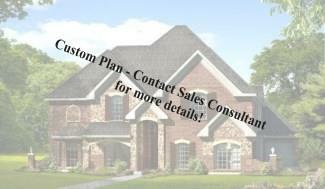 Build with Providential Custom Homes on 1 ac tracts or buy the Model. THE HIGHLANDS-homesites are 1 acre within 363 acres of beautiful rolling hills have been thoughtfully planned witH a 50-acre park with native landscaping, sparkling water features and a two-mile hike and bike trail winding through the community." "This property has it all! Car fanatic check, want a wide open space with beautiful sunsets, check, gorgeous pool and outdoor area check plus lots more. the home boasts 4 or 5 bedrooms master and one plus a flex room with closet down, two more bedrooms up with a loft area, game-media rm and outdoor balcony. Grand front staircase, large living area with fireplace wet bar, great kitchen with an abundance of storage. Master has a sitting area and extra large w-i closet and separate shower. 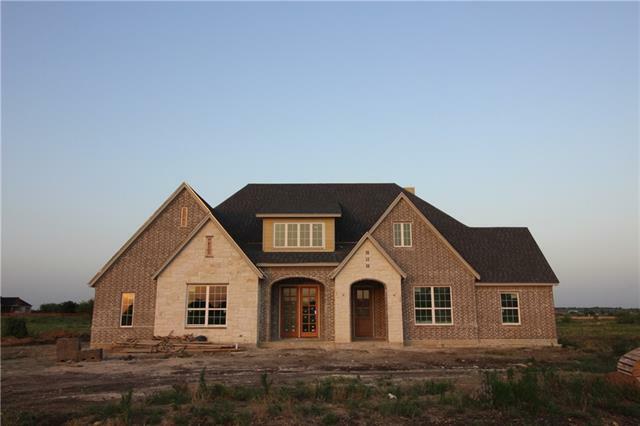 Three f"
"MLS# 13881275 - Built by Gallery Custom Homes - Ready Now! ~ THIS IS A VERY CUSTOM BRENTON ON A 1 ACRE HOMESITE. IT HAS A LARGE COVERED BACK PATIO WITH A CORNER FIREPLACE. WOOD FLOORS, UPGRADED GRANITES AND TILES THROUGHOUT. BEAUTIFUL CURVED STAIRCASE HIGHLIGHTS THE ENTRY WITH DOUBLE IRON DOORS.."
"MLS# 13913321 - Built by Gallery Custom Homes - Ready Now! ~ Beautiful single-story home on one acre with 4518 square feet. Oversized patio with fireplace. Argyle school district, low property taxes!" 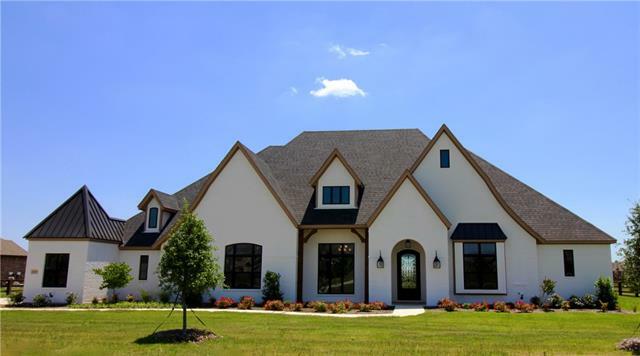 "MLS# 13876744 - Built by Gallery Custom Homes - Ready Now! 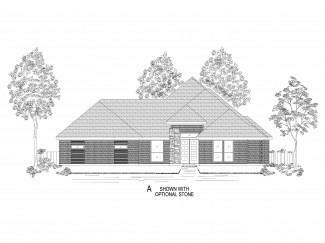 ~ This gorgeous Sunrise plan sits on a corner acre lot and has a large covered patio with vaulted ceiling and corner stone fireplace. Open floor plan that has a large kitchen with a huge California Island. Plenty of space and many upgrades." 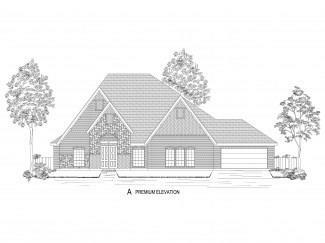 "MLS# 13876975 - Built by Gallery Custom Homes - Ready Now! 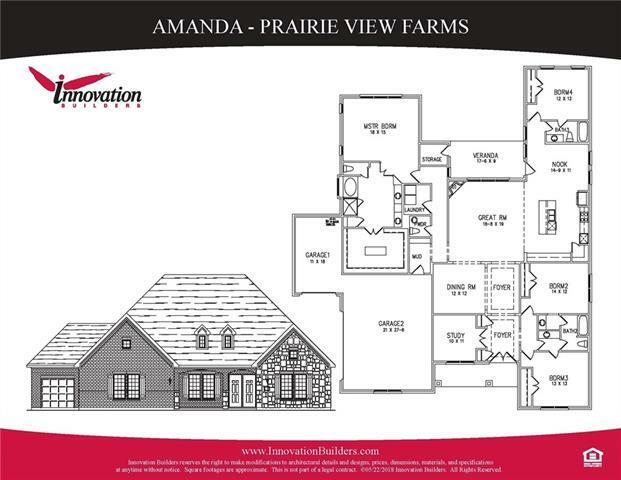 ~ BRAND NEW FLOOR PLAN WITH 3896 SQUARE FEET. OVERSIZED COVERED BACK PATIO WITH A WOOD BURNING FIREPLACE. THIS HOME ALSO HAS AN UNCOVERED LARGE PATIO THAT ENTERS FROM THE FORMAL DINING THAT IS GREAT FOR ENTERTAINING.."
"Spacious 10 acre lot with 3 homes, a workshop, a pond, & loaded with mature trees. 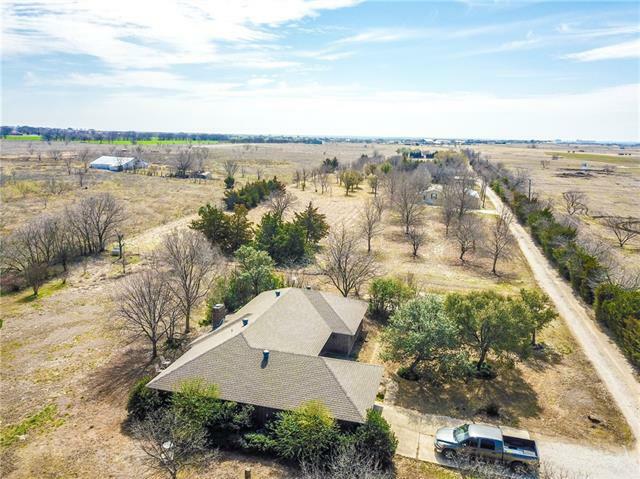 This acreage has tons of possibilities. You could live in one of the homes while you build your dream home. You might live in one and rent the other 2 properties. You may even be able to purchase and subdivide the properties to then sell. 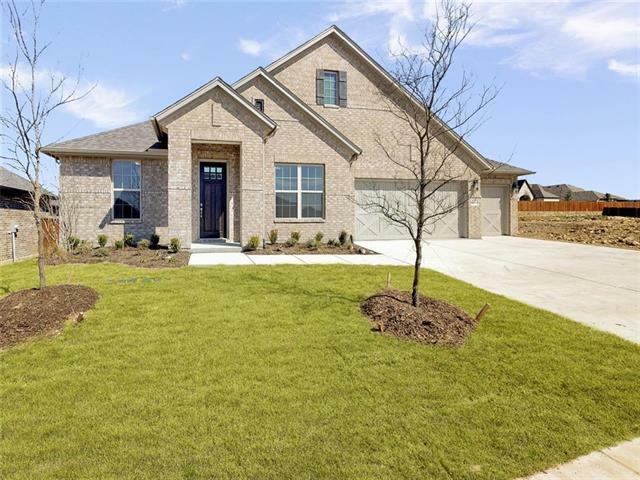 The brick home at the front of the property is a 3 bed 2.5 bath home with pop up ceilings, tile floors, & approx 2,594 sqft. The wood house at the back has 3 bed 2 baths at appro"
"Gorgeous brand new Royal Crest Custom Home. Sprawling one story painted brick home with metal roof accents, on an acre. Sought after Argyle School System. You will love the modern decor." "Spectacular incomplete new construction one story home with amazing family friendly floor plan. Open kitchen great room concept, triple split bedrooms, dining, game room and media room. This home has it all including an amazing floor to ceiling stone fireplace both inside and outside on the large covered patio. Beautiful designer features through out the home. The gourmet kitchen has a stunning island, with dining bar, stainless steel appliances, including double ovens, 5-burner gas cooktop, mi"
"AVAILABLE SOON! 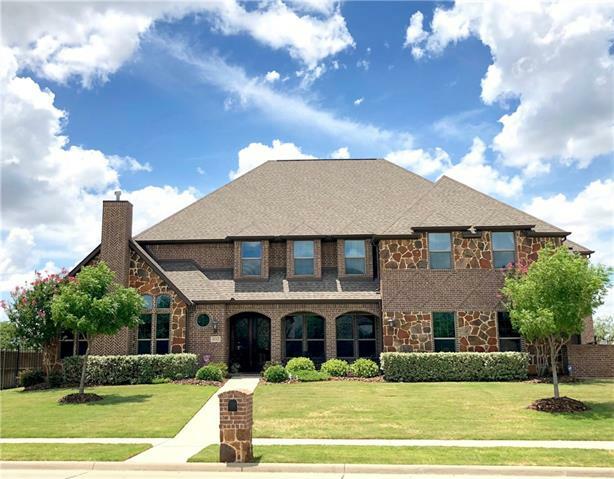 Stunning 4 bedrooms, 3.5 baths, study, second story game room with half bath, and a 3 car garage on a 1.5-acre estate that backs up to a 100 foot easement and a 2 mile hike and bike trail. 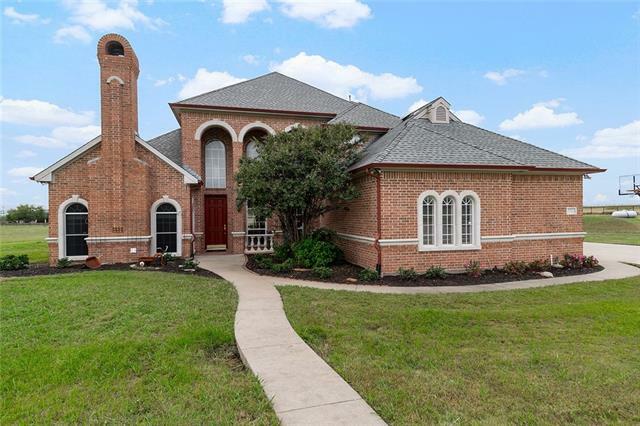 You still have time to pick and choose your colors on this gorgeous Noble Classic Home offered in The Highlands of Northlake!" 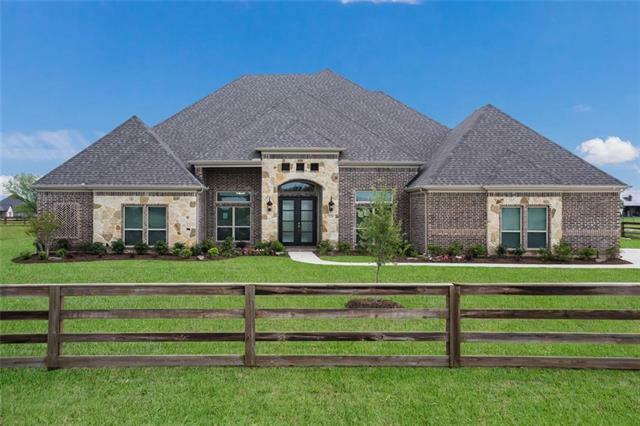 "MLS# 13875793 - Built by Gallery Custom Homes - Ready Now! ~ BEAUTIFUL, CUSTOM EAGLE II WITH 3856 SQUARE FEET. THIS HOME IS SITUATED ON A ONE ACRE HOMESITE WITH PEACEFUL VIEWS OF FIELDS AND TREES FROM BOTH THE FRONT AND BACK YARDS. LARGE COVERED BACK AND SIDE PATIOS. IT ALSO HAS A HUGE FRONT PORCH FOR RELAXING..."
"MLS# 13881293 - Built by Gallery Custom Homes - Ready Now! ~ This beautiful home sits on an acre lot and has a large covered front porch and rear patio. The study has a Coffered ceiling and two windows that bring in plenty of natural sunlight. The kitchen has a California Island and a nook-dining area with tons of room. Many upgrades, a must see!!" 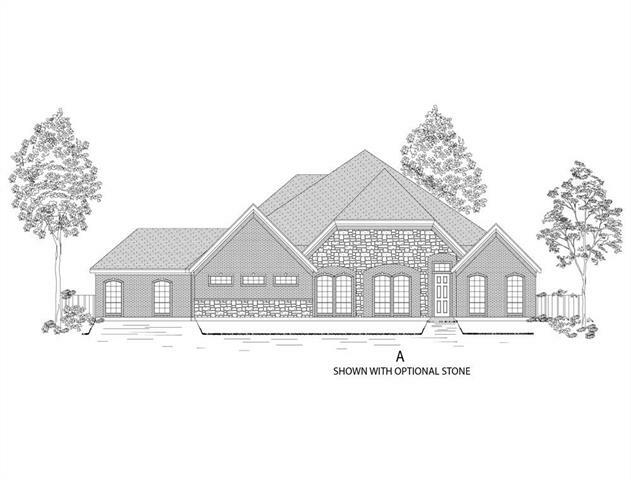 "Spectacular proposed two story floor plan is located on over 1 acre. 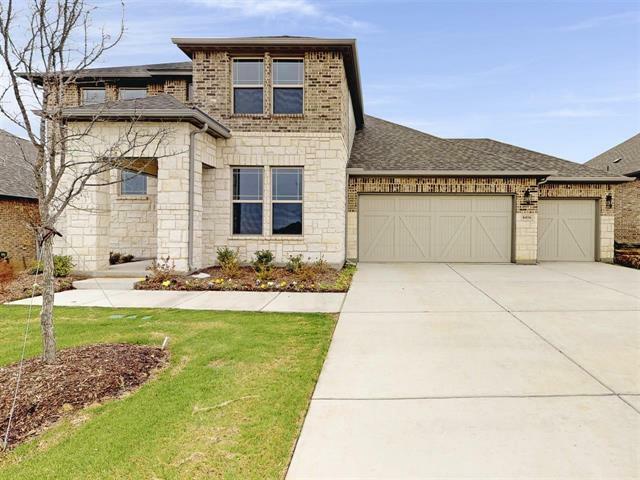 This two story home is located in the highly desired and acclaimed Argyle ISD! 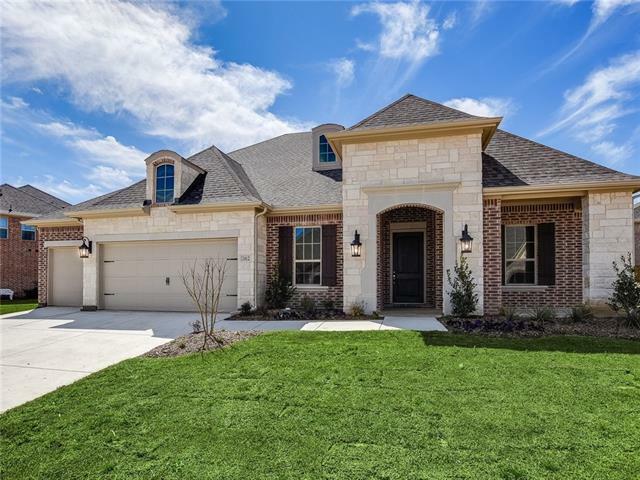 The subdivision is quaint and is located just minutes from DFW airport and shopping! The open floor plan features a spacious family room, which adjoins the great kitchen, split bedrooms, and opens to the large veranda with extra storage. Large rooms and large lots. Wonderful amenities and features throughout this home. Additional lots and floor p"
"Spectacular proposed one story floor plan is located on over 1 acre. 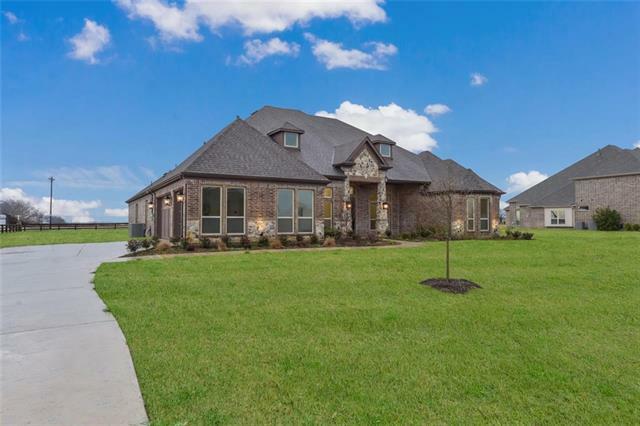 This one story home is located in the highly desired and acclaimed Argyle ISD! 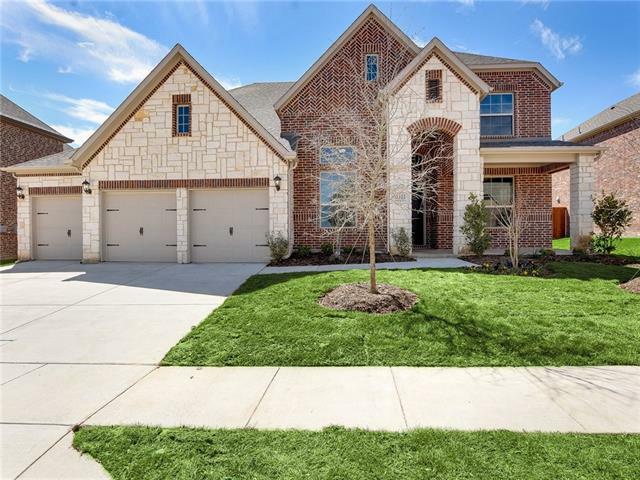 The subdivision is quaint and is located just minutes from DFW airport and shopping! The open floor plan features a spacious family room, which adjoins the great kitchen, split bedrooms, and opens to the large veranda with extra storage. Large rooms and large lots. Wonderful amenities and features throughout this home. Additional lots and floor p"
"Stunning! 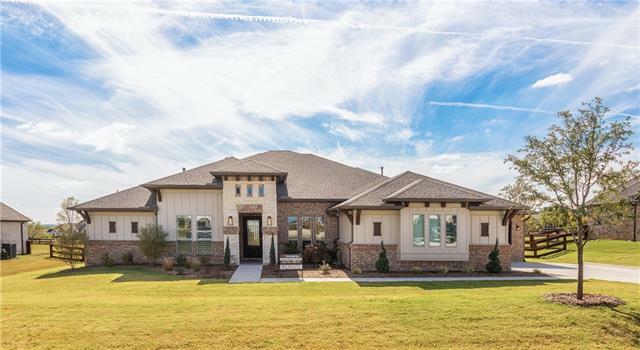 Highland home in unique Argyle Harvest community! The Owner spared no expense to make this home absolutely gorgeous! Attention to detail throughout with many Custom features that makes this home one of a kind! 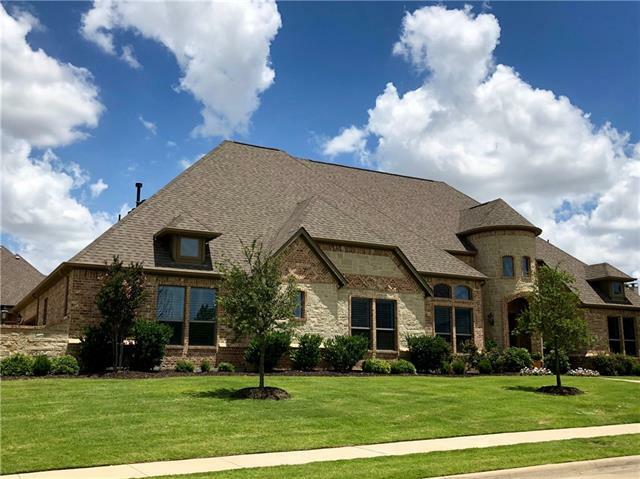 Lots of light and Open Floor plan with wall to wall windows, formal dining room, media room, office and gourmet kitchen flows into the oversized living area with vaulted ceiling. Guest will admire the wood floors, light open feel throughout! Perfect for entertaining! 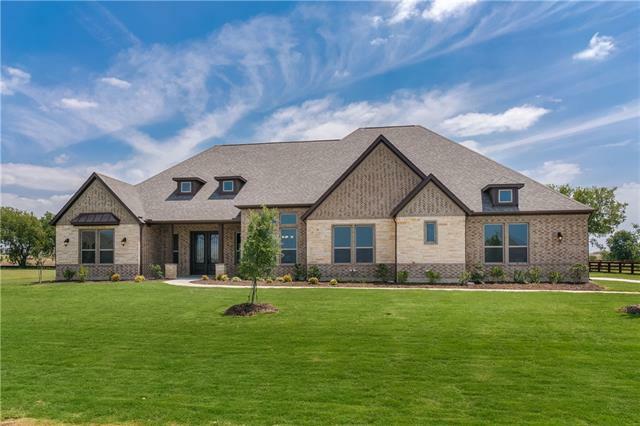 Gourmet kitc"
"Brand new Royal Crest Custom home being built on one acre in gorgeous Stardust Ranch Subdivision of fine homes on 1-5 acres of land. Completion in July." "PERRY HOMES NEW CONSTRUCTION READY FOR MOVE-IN! Mahogany front door. Two-story entry with 19-foot ceiling. Library with French doors. Kitchen features an island with built-in seating space and walk-in pantry. Two-story family room with a cast stone fireplace, wall of windows and ceramic tile floor. Private master suite with wall of windows. Double door entry to master bathroom features dual vanities, garden tub, separate-glass enclosed shower and spacious walk-in closet. First floor guest suite." "MLS# 13880638 - Built by MHI Coventry Homes - CONST. 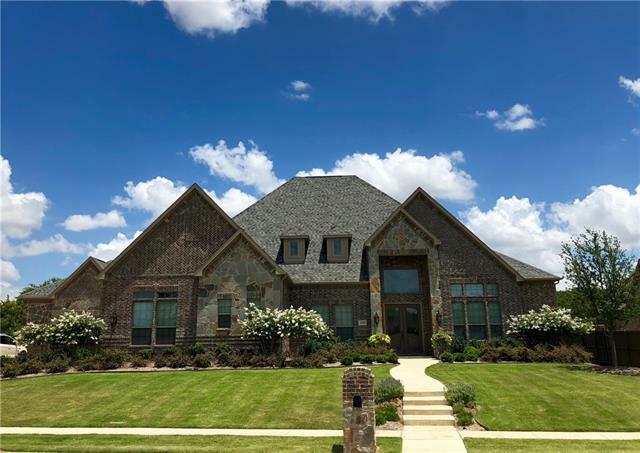 COMPLETED Aug 31 ~ This home is beautiful! Walking in you will be captivated by the two-story foyer and staircase. A second bedroom and bathroom downstairs adds incredible versatility for family or guests. The luxurious kitchen has everything the chef in the house will need, including a large walk in pantry and built in appliances. Enjoy entertaining on your large covered patio, or stay in and enjoy a movie in your media room. The master suite"
"MLS# 14010582 - Built by M-I Homes - May completion! ~ With the flexibility to accommodate a variety of modern living arrangements, the Zacate is one of our most popular plans for young families and multi-generational households alike." "Brand NEW energy-efficient home ready NOW! Berkeley s grand foyer impresses w curved staircase and volume ceilings. Main level owner s suite boasts double sinks, walk-in closet. Upstairs, game room sits opposite large secondary bdrms. 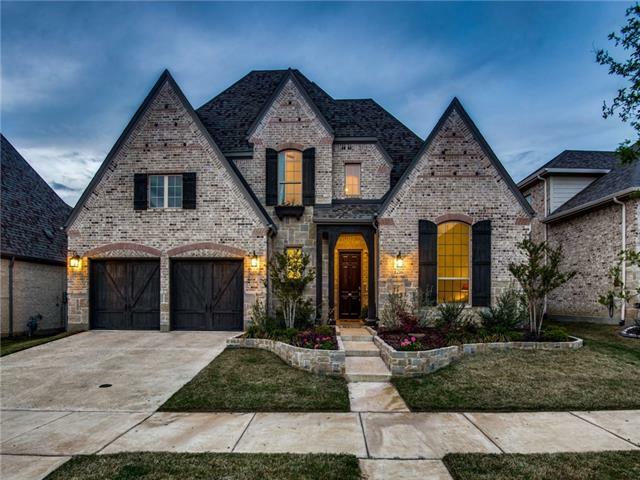 Canyon Falls is a master-planned community conveniently located in the heart of the Dallas Fort Worth Metroplex. Residents of Canyon Falls will enjoy an abundance of amenities including 300 acres of landscaped open space, a clubhouse with pool, dog parks, indoo"
"Brand NEW energy-efficient home ready NOW! Simplify entertaining thanks to Sydney s gourmet kitchen featuring expansive island overlooking the dining and family rooms. 20' ceilings in kitchen and family room, media room, 3 car garage. Canyon Falls is a master-planned community conveniently located in the heart of the Dallas Fort Worth Metroplex. Residents of Canyon Falls will enjoy an abundance of amenities including 300 acres of landscaped open space, a clubhouse with pool, dog parks, indoor "
"MLS# 13982949 - Built by M-I Homes - Ready Now!! ~ 70x140 wide lot ready now! The Angelina is 3,206 sq ft 4BR 3 bath, 1 story with 3-car garage home with large game room and powder bath upstairs. This home features an area for a study as soon as you walk in with a large formal dining room. You then walk back into the main living area with breakfast area, large kitchen and giant living room with fireplace with engineered wood floors throughout. Master bedroom has the extended bay window and"